Will you be at Marintec 2009? Amver will be exhibiting and holding an Amver awards ceremony. We are excited to engage our Chinese, and other Asian, partners and hope you will take some time to introduce yourself. We look forward to seeing you in Shanghai! As the year winds down and we begin to focus on family gatherings, holidays, and shopping we shouldn't forget the mariner. Most mariners don't get the holidays off and spend their time sailing from port to port. It's the mariner, however, who brings us our holiday joy. If not for the people of the commercial maritime industry how would our Tickle Me Elmo dolls or Nintendo Wiis get to our homes? In that light let's welcome the latest members of the Amver family. 21 additional ships have enrolled in the system. Amver is preparing to exhibit and hold an Awards ceremony in China. If you are headed to Marintec please be sure to stop by our booth. We look forward to more Chinese ships enrolling in the Amver system. Two recent ferry tragedies in Indonesia underscore the continued need for Amver. MSNBC reports over 240 people have been rescued after one ferry sank of Sumatra. The other ferry ran aground with no loss of life. These incidents demonstrate the need for coordinated mass rescue plans and resources. The United States Coast Guard Office of Search and Rescue has a robust Mass Rescue Operations program. The program focuses on passenger vessel safety as well as natural disaster incidents that may result in large scale evacuations. Thankfully, the Mass Rescue program and industry have collaborated and exercised the response to passenger vessel incidents. Planning for such incidents as a ferry sinking doesn't change the fact that you may need more resources to rescue survivors than you typically have. That's where Amver can have a major impact. First, however, your organization needs to know how to request Amver data. You can read how your RCC requests Amver data here. Not sure what an Amver surface picture is? You can learn more about what an Amver surface picture (SURPIC) is here. The Amver system isn't just a United States Coast Guard system. It is designed and maintained for the world. Recognizing you need additional help isn't an admission of defeat and requesting Amver information isn't an admission your response assets are sub par. Amver acts as a force multiplier increasing the likelihood maritime accident survivors will be rescued alive. Have your rescue authorities used Amver successfully? Tell us about it. Amver had the distinct pleasure of exhibiting at the 2009 United States Coast Guard Innovation Expo in Virginia Beach, VA this week. In addition to the expo, Amver participated in podcampUSCG, the first military podcamp of its kind. You can learn more about podcampUSCG by checking out the wiki. Want to hear what went on at podcamp? Stop by the Weekly Leader podcast for an audio recap. Amver will be heading to Marintec China in Shanghai for our next adventure and Amver awards ceremony. See you in China! Whew! 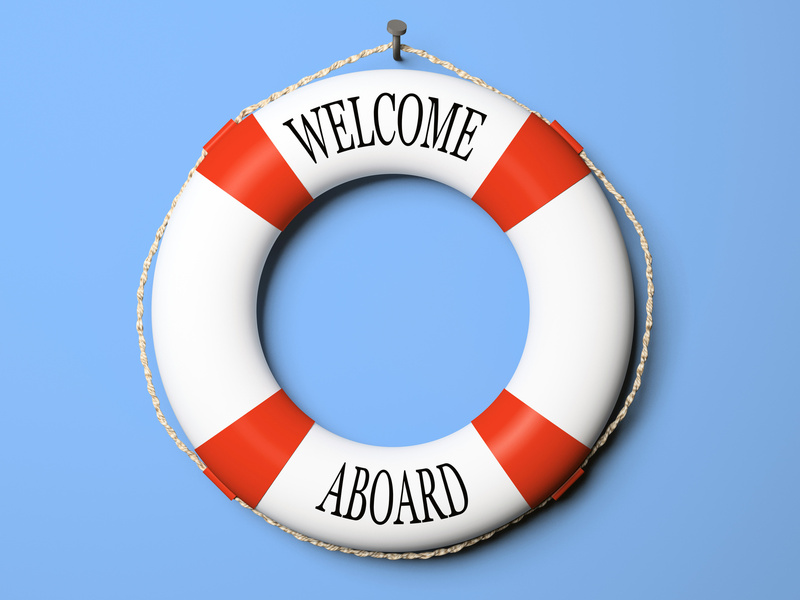 We sure have been busy traveling but that hasn't stopped ships from enrolling in Amver. Is your ship listed below? It should be. Simply enter your pertinent vessel information on the Amver enrollment page and you can be part of the greatest global search and rescue system around. Help us in welcoming the latest members of the Amver team. 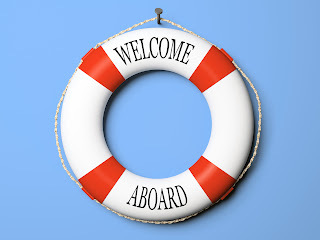 Welcome and thank you for helping contribute to safety at sea! There is lots of great news happening with Amver we will be sharing in the next few days. We are hosting podcampUSCG, attending the Innovation Expo, an catching up on rescues. Stand by for more stories! Amver will be part of the US delegation attending the Emergency Prevention, Preparesness, and Response Work Group meeting in Copenhagen, Denmark. Topics up for discussion include responses to oil spills, radiological incidents, and other natural or man made disasters. We will be advocating the use of the Amver system by vessels sailing through Arctic waters and promoting the Amver online surface picture request form. Encouraging our international search and rescue partners to use Amver helps provide addition resources during SAR emergencies. What question would you ask if you had a seat at the table? What's the best piece of equipment to have aboard your vessel if you end up in distress? An EPIRB of course, how else will search and rescue authorities and Amver ships find you? 23 vessels have enrolled in Amver in the past week. It is encouraging to see the interest increase while the number of vessels on the water decreases. The owners and crews of these vessels know the value of Amver, both to those that need to be rescued and the vessels coordinated during rescues. Imagine if your ship hears a request for assistance or a distress call. Through the coordinated efforts of search and rescue authorities and Amver only the best resources are sent to assist. If you are part of the Amver system you are part of the coordinated response. If you aren't part of Amver system you risk not being part of the big picture. Why not take the time today and enroll your ship in the only global search and rescue system? Thank you for committing your ships to safety at sea! Amver wants to pass along this information we received from our partners at NOAA. Their is a new and more streamlined E-mail address for ships to use to submit their weather observations. Please start sharing SHIPOBS@NOAA.GOV to all your ships that may be using the NOAA email process for submitting their ship observations and assist them in converting from our initial webship@inetsrv email address. This updated address allows routing redundancies to ensure receipt and processing within the NWS Telecommunication Gateway and onto the GTS. It also allows the emailed ship observations to be shared with the USCG and the Amver program so all position reports are captured thus improving SOLAS support. REMINDER - The observation MUST BE in the body of the email and it should be in TEXT format (NO HTML if possible - although scrubbing can occur - its just slows routing process down a bit) Ensure an equal sign (=) is affixed to the end of the message to tell the computers end of transmission. Additional information on the Voluntary Weather Observation program can be found here. P & I Club Hikes? Tradewinds reported, in the 30 October edition, the largest protection and indemnity (P&I) club-Norway based Gard- is not seeking a rate increase come the February renewal. Despite a reported increase in piracy it seems claims are either leveling out or the clubs are rife with cash. Regardless of the situation, Amver ships insured by Gard are probably grateful rates will hold. What are the chances the other clubs will follow suite? Lloyd's List recently ran an interesting editorial in their blog section. As piracy attacks in the Gulf of Aden increase, the debate on whether to arm crews aboard merchant vessels continues. While members of the Nautilus International Union favor arming crews, most bodies oppose the notion. What do you, the Amver community, think of the idea of carrying guns on ships?